It is a pleasure to let you know that my photograph “Lion in the night” has been awarded 1st place – FD GRČA Gold Medal – in Narava International Contest of Photography 2017 in Slovenia. In this year´s competition photographers from 59 countries participated with the total number of 4,200 images. 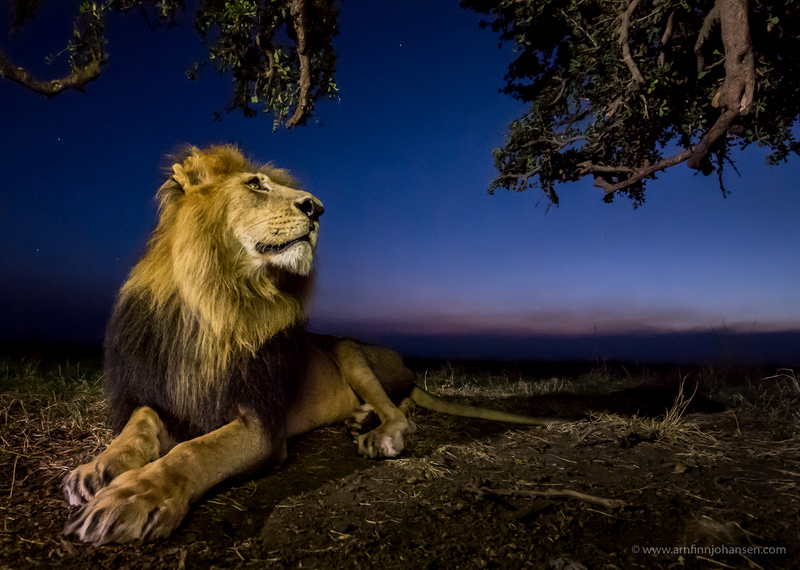 The image is taken in Maasai Mara in Kenya in July 2016. Please click on the image to enlarge and see it in 1400px quality. Feel free to leave your comments below if you like and follow my work on Facebook as well. Lion in the night. Maasai Mara, Kenya. 1st place – FD GRČA Gold Medal – in Narava International Contest of Photography 2017. Nikon D5, Nikkor 16-35/4 VR @ 18mm, 1/3 sec at f/5.6. ISO 32,000.